At the core of every Greek tragedy is the notion of hubris : the fatal flaw that leads the hero to overreach himself and so open the gates of chaos. Greek tragedy and modern communications technology may not seem to have much in common. However, it's difficult to find a better, modern-day illustration of hubris in action than this YouTube excerpt1 from Steve Jobs' January 2007 presentation introducing the iPhone. To rapturous applause and with absolute confidence he announces, "Boy, have we patented it!" Unknown to Jobs, by giving that very presentation he sowed the seeds of future intellectual property problems for Apple. Those seeds have now started to flower. Two weeks ago, the German Federal Patents Court invalidated Apple iPhone patent EP2059868 ("portable electronic device for photo management" )2 on the grounds that it lacked novelty. To add insult to injury, they specifically held that Jobs' presentation was the crucial piece of "prior art" which deprived the relevant feature of patentability3. Despite being the named inventor on over 300 patents and the CEO of one of the most successful innovative businesses in the the world, Jobs made a classic mistake. He assumed that the rules applying in the US to patent disclosure applied universally -- and somehow none of his intellectual property advisors seem to have stepped up to tell him differently. The US has long been an outlier on the international patent scene. For many years it preserved the principle of "first to invent" whereas most other countries adopted "first to file" as the standard of patentatibilty. It allows patenting of "business methods" on a far wider basis than under the European Patent Convention4. Most relevant for these purposes, until the America Invents Act came into effect earlier this year, the US allowed inventors and companies owning rights in inventions a twelve month grace period, prior to filing for a patent, during which they were allowed to make disclosures of the type made by Jobs. This had never been the case in most of the rest of the world, who works on the basis that any pre-filing public disclosure, even in an obscure language in a PhD thesis on the shelf of a library in a remote university, is capable of destroying an invention's novelty and making any subsequent patent invalid. 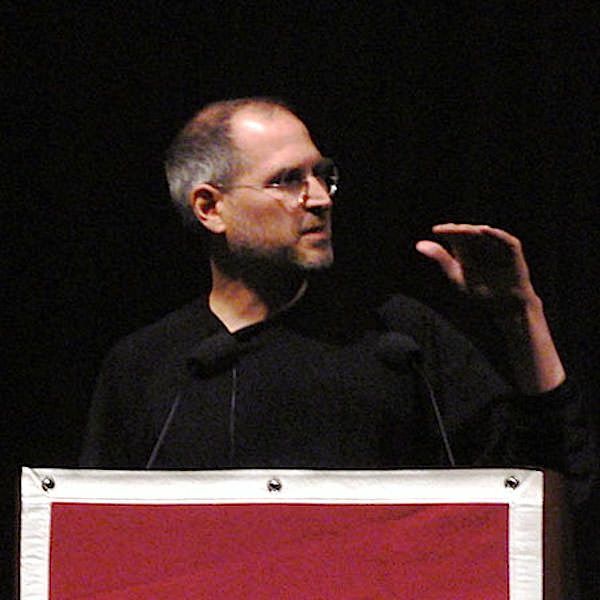 Steve Jobs made his presentation in January 2007 but the relevant European patent application was not filed until August 2007 (it claimed priority from a 29 June 2007 US Patent application). Accordingly, the German court not only held that the presentation was relevant prior art, but that it was sufficient to constitute "an enabling disclosure" which put the relevant patent claims into the public doman. Although the current judgment is limited to Germany, all other national patents deriving from the same European patent application will be open to the same flaw. Furthermore, Jobs' apparent lack of awareness of this crucial point of non-US patent law will no doubt have experts instructed by Samsung, Google and Apple's other rivals scrutinising all previous public presentations for similar gems. In Apple's current litigious climate, and to continue the Greek theme, Jobs had opened Pandora's Box. What lessons can other companies learn from it? "It's not what you don't know that can hurt you; it's what you do know that isn't so." Patents remain national rights in an increasingly global economy and patent protection needs to be considered on a global basis. No-one is too important in a company not to have their presentations cross-checked and questioned. For the intellectual property litigator, the Internet is a treasure chest. YouTube, Flickr and a whole host of on-line sources are now possible sources of damaging prior art to knock out a patent or registered design. Beware the gods when making bold statements. The main image used for this article is: 'Steve Jobs' and was used under the terms detailed at the above link on the date this article was first published.